We often focus on the logistical side of military PCS moves. We reflect on the packing, the house hunting, the settling, and the job searching. Military PCS moves, however, are not just about the destination. Moving is equally about getting to the new duty station. A great deal of moving involves driving, flying, staying in hotels, and navigating. For this reason, reaching your new home can be nothing short of a miracle! 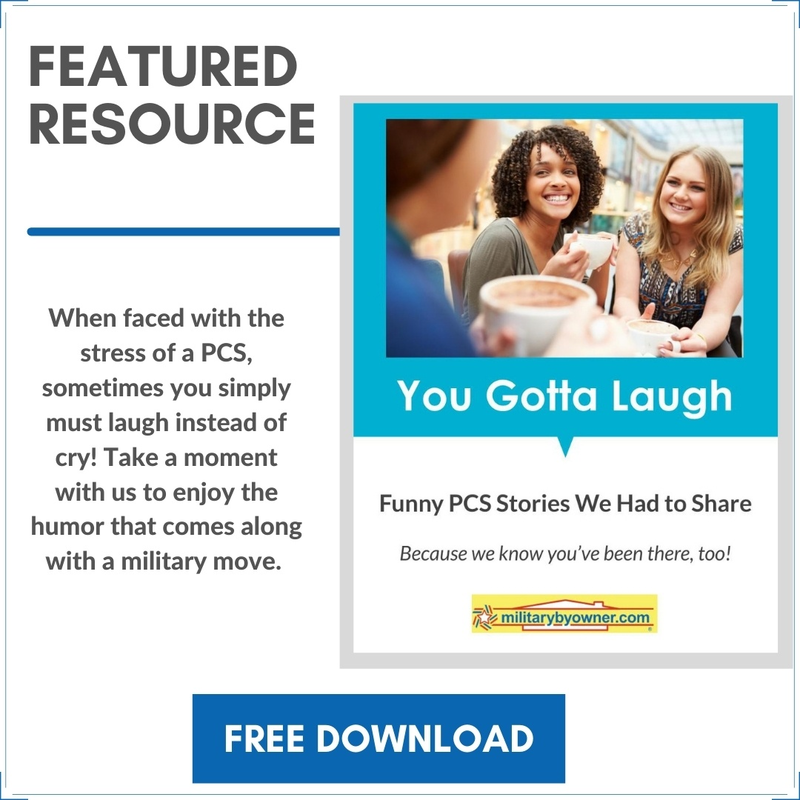 If you've read our PCS E-Book, You Gotta Laugh: Funny PCS Stories That We Had to Share, you know that while many moves unfold easily, a great number of us face unexplained challenges when it comes to moving. I turned to a handful of my fellow military blogging friends to broaden our perspective on just a handful of those challenges. Thankfully, they were kind enough to share. I share these stories if not for encouragement, then for a good laugh! “Our very first PCS, my husband was already there and had a place waiting. I was flying for the first time with a two-year-old. I figured pull-ups were the best, so if she had an accident it was ok (she was just about potty trained). It was supposed to be an 18-hour flight from Ohio to Italy. Well, we had to land at Heathrow airport and have an unexpected layover. This was before I even had a cell phone. I tried to buy additional pull-ups in the airport--for $18 (after conversion), tried to call my husband from a pay phone, and was completely lost. If you know that airport, you know it's HUGE. “During our move from South Dakota to Alaska, our first move, we were young twenty-somethings and we did a full DITY. North of Vancouver, after getting lost with a U-haul, Weimaraner, and Great Dane (Great Dane in back of a Honda Civic tailing the U-haul), I thought it'd be great to make up lost time on a "short cut." The short cut was the Sea to Sky Highway in British Columbia, with 18-24% grades on sharp turns/cliffs going through a canyon! My husband was driving the U-haul for his life, literally. I cried my eyes out the whole way, praying we'd make it through. “We have a lot of books, and we tend to keep them in different rooms based upon type. One move, I asked the packers if they could identify on the boxes which ones were children's books. “I went into labor a week early, so we got our household goods shipment on the day we had our daughter. “When we moved from San Diego to Guam, we ordered Chinese food the night before the movers came. We lived in a two-story apartment and our trash chute was down the hall, so the next morning, I took the leftovers out of the fridge and placed them on the counter while I ran downstairs to grab my purse. Maybe you have experienced a few of these situations yourself. Whether you've encountered faulty navigation, embarrassing moments with children, or unfortunate miscommunications, you know that moving can bring out the worst. Hopefully, these testimonies comfort you in knowing you are definitely not alone and help put your own moving trials in perspective! If you need more encouragement, laughter, and advice about military moves, check out MilitaryByOwner’s free PCS E-Books!